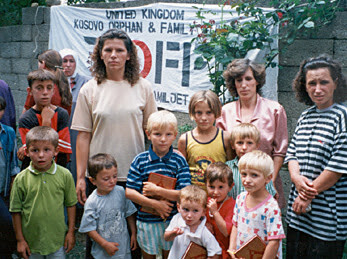 image credit : above is a picture of orphan children of Kosovo, victims of Balkan war. picture shared from Small Kindness, a beautiful charity organization that helps the war victim children of our world. may i dedicate this post to all children who are sufferer in wars. visit Small Kindness site here and if possible donate for their work. its worth supporting their cause. May God accept your gift. amen.